Most of the online sportsbooks we recommend all pay out winnings in a reasonable amount of time. They've all been in business for over a decade and understand the importance of paying winners fast. However some of the sites offer extremely fast withdrawals. Some even offering same day payouts. 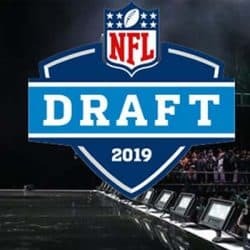 So this page will highlight which USA online sports betting sites pay the fastest and what methods are available to players for cashing out. The following sportsbooks are all US friendly and offer same day payouts for customers. Same day payments are usually offered to players in the form of Western Union or Moneygram transfers and are almost always processed the same day as long as you request the payout before 11:00 a.m. Most of these sportsbooks also have a prepaid debit card that they can issue to players. Basically they load the funds onto your card, and you can go to the ATM the same day and withdrawal the money. 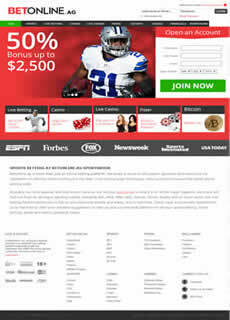 Bovada has been ranked Elite by many authority sites in this industry. The company is consistently the most popular US friendly online gambling site and payments are quick and efficient. Bovada has enjoyed an online presence since its arrival as Bodog in 1991. Multiple account deposit methods are offered, as well as a 100% welcome bonus and 100% Refer-a-Friend bonus. Bovada is also well known for offering lines, odds and payouts which are more attractive than the industry recognized "Las Vegas lines". Legally licensed for US player support, Bovada provides you several payout options which are as reliable as they are fast. Currently players can request to withdrawal funds and collect the funds the same day using Bitcoin. Alternatively you can request a payout via check which typically arrives within a couple days via fedex. Consistently earning an Elite (highest level) designation from numerous industry analysts, BetOnline deserves its reputation as one of the premier sports betting sites for US players. 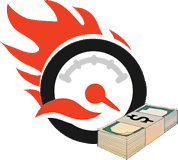 The company also delivers payouts which are among the fastest in the industry. Instant credit card depositing is supported, and bettors from the United States receive lifetime 25% deposit matching bonuses. That is unbeaten in the industry, and only matched by its subsidiary, SportsBetting.ag. 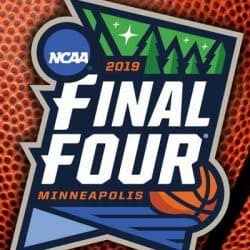 New account holders also receive an instant $25 free playback, and an incredible 9,900 to 1 payout on successful 25 team parlay bets. Legally licensed for US player support. Same day payouts are offered to players via person to person transfers, book to book and Bitcoin. Check payouts and bank wires typically arrive in 48 hours but can take up to 7 days. 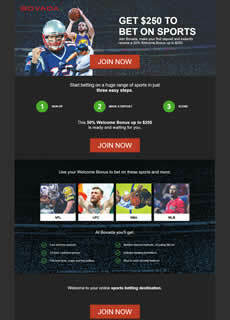 Special updated 50% bonus up to $2500 for football kickoff. Acquired by BetOnline in 2012, SportsBetting.ag benefits from a management team offering some of the fastest payouts to USA players since 1991. Extremely stable financially, the company is headquartered in Panama City, Panama, known as the financial capital of Latin America. Powerful financial backing leads to quick payouts. The company also offers sports bettors on-site access to a real money poker room, casino and horse racing book. 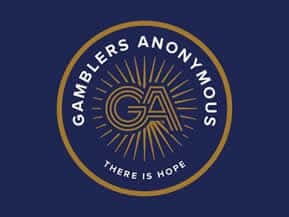 Physically located in Panama City and backed by the Panamanian government means the company is fully licensed to legally honor gamblers from the United States. Convenient credit card sports betting is available, as well as special "reduced juice" money lines on Fridays during NFL and NCAA football seasons. Since sportsbetting.ag is part of the betonline family, you can expect the same exact payout options as we listed above with Betonline. New players can claim their 75% signup bonus up to $1,000 on their first deposit. BookMaker opened its virtual doors in 1992 and has been delivering a quality online sports betting experience to players ever since. Its management team has been handling Internet gambling since 1985, and you don't last 30 years in this competitive marketplace by being anything less than the best. The company's 10% lifetime reload bonuses are generous and virtually unheard of in the industry. Rated as one of the fastest paying USA sportsbooks currently and in previous years, BookMaker has earned OSGA Elite status year after year. The company also provides multiple instant deposit and speedy payout options. BookMaker is usually the first Internet sportsbook to post lines, earning the company the well-deserved nickname, "Where the line originates." Many line services and famous Las Vegas sportsbooks depend upon BookMaker to set the initial betting lines. 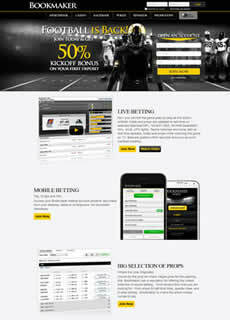 What sets bookmaker apart from the rest is the fact that they offer players the ability to request a payout up to $50K. You won't find this anywhere else. Other sites typically nickel and dime players with $5K max weekly withdrawal limits. In addition, players can usually get paid the same day via money transfer or online ewallets as long as the request is made early in the morning. We thought we should list the fastest paying sites in an easy to read table format so visitors can easily get a birds eye view of the sportsbooks and their bonus offers. Every single one of these sites offer same day payouts, so they are in fact the quickest paying sportsbooks available to US players. However some offer more ways to withdrawal money the same day compared to the others which we highlight in the longer reviews above. The sites in the table below are listed in order of how fast they pay players. Which USA Sportsbook Offers The Highest Payout Limits? 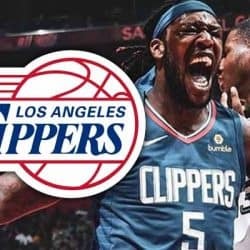 Of the sites we recommend, there is one particular site that is really in a class of their own in terms of how much they allow players to withdrawal. Bookmaker allows players to request up to $50K at once making them ideal for high roller players. If I were a big player, I would no doubt be playing exclusively at Bookmaker. They also offer the highest betting limits up to $10K per game compared to others that are more geared for casual gamblers. Bookmaker doesn't care, they will take your action. Which Sportsbooks Allow Players To Cashout Using Credit/Debit And Prepaid Cards? In 2014, a lot of the USA online sportsbooks started offering players the ability to get a debit card issued to them and have all payout requests loaded onto the card. It's no surprise that players were absolutely thrilled about this as it allows them to go right up to the ATM and collect the funds the same day. The following sportsbooks offer same day payouts via debit and prepaid cards: Bookmaker, Betonline and Sportsbetting.ag. Do Any Online Sportsbooks Offer Instant Payouts? Those were the good old days weren't they? Anyone who has been around this industry for a while remembers back about 10 years ago when US players were able to have an account at Neteller, Moneybookers and Usemywallet. These ewallets were the nuts. There is no other way to put it. Some of the sportsbooks even offered instant payouts where you could literally request a payout via Neteller, and it would instantly hit your account. Currently though, for USA players the only option available for instant withdrawals would be Bitcoin. Check out our list of USA online sportsbooks accepting Bitcoin. Which Sportsbook Payout Method Is The Fastest And Most Efficient For USA Players? This really depends on your needs as a player as well as the individual sportsbook payout options. For me personally, I prefer to request a check via courier. Many of the sites use American banks like Wells Fargo, Suntrust and Bank Of America which allows players to go right to the bank and cash the check. I used to be fond of collecting same day payouts via Western Union, but if you get too many they often give you a hard time and ask where the money is coming from. It just became more trouble than it was worth, so checks is how I roll nowadays. The fees that various sportsbooks charge for cashing out vary from site to site and are often reasonable in terms of the amounts. Players should understand that the fees associated with most payout options aren't really a profit center for the sportsbooks. They simply help to offset genuine fees as well as labor. So don't jump to conclusions if a particular sportsbook charges $50 for a check to be delivered via fedex when you know the true cost is actually around $35. 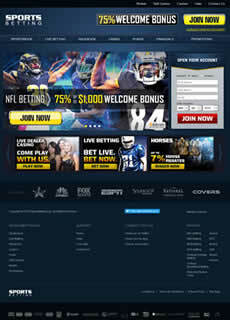 After the UIGEA and other gambling laws were implemented that make it extremely difficult to process any gambling related payments, sportsbooks really had to work hard at coming up with creative and unique 3rd party companies to process payments. Trust me, it's not as easy as one might think. So just roll with the few extra bucks you pay and be happy that you can still collect funds despite all the roadblocks USA sites have to deal with. Keep in mind the following examples vary from site to site. It really depends on how much you withdrawal as to what the fees will be. What If I Deposited Using A Credit Card - How Will I Receive My Winnings? If you used credit card as your sportsbook deposit method, then you will have to fill out an authorization form and send a copy of the front and back of the credit/debit card along with a photo id such as a drivers license or passport. Once you've gone through the process of getting your account verified, you are welcome to request a payout using any of the options available through the cashier of the site. We've had a lot of inquiries as to whether or not you can request winnings to be placed back onto your credit or debit card. This was actually common about 7-8 years ago in the industry, but after the UIGEA was implemented in 2006, no one will process any withdrawals back to a credit card. Below are the most common ways USA players can deposit funds into online sportsbook accounts via credit cards.